Title: How Clever are Bacteria in Responding to Antibiotic Stress? 1) Protein dynamics and structural stability. 2) Nanotechnology for sorting and analyzing biological objects and molecules. 3) Collective dynamics and evolution dynamics of bacteria. 4) The physics of cancer in complex ecologies. 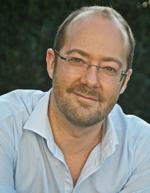 Tobias Bollenbach is professor of biological physics at the University of Cologne. He studied physics at the University of Gottingen and at Michigan State University. His PhD in theoretical biological physics at the Max Planck Institute for the Physics of Complex Systems in Dresden from 2002-2005 focused on the transport and gradient formation of signaling molecules in animal development. 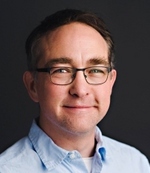 In 2006, he moved to the Department of Systems Biology at Harvard Medical School where he worked on the underlying mechanisms of drug interactions and identified general principles in bacterial gene expression responses to antibiotic combinations. 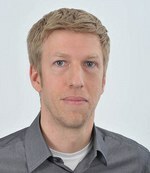 Since 2010, the research of his group has focused on the dynamics of bacterial stress responses, drug resistance evolution, and related topics which he approaches using a combination of experimental techniques from microbial systems biology with theoretical approaches from physics. Research in my lab centres primarily on the antibiotic resistant human pathogen Staphylococcus aureus. It spans from investigating basic cellular architecture and dynamics using a combination of approaches including super-resolution microscopy, through host–pathogen interaction via a range of animal models to translational activity developing a vaccine and determining the action of antibiotics. 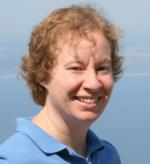 Vernita Gordon is an Assistant Professor of Physics at The University of Texas at Austin. Her group contains both physics and microbiology PhD students, who work to understand how physical characteristics of bacterial biofilms and their environments impact biofilm infections. The long-term goal is to develop approaches to preventing and remediating biofilms that target physical characteristics. This would circumvent the biological mechanisms that evolve to give rise to antibiotic resistance. 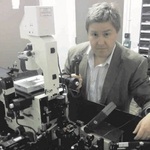 Mark Leake is the Chair of Biological Physics and Director/Founder of the Biological Physical Sciences Institute, University of York, heading an interdisciplinary science team specializing in single-molecule biophysics research. His work on molecular manipulation, ultrasensitive imaging and customized microscope design has led to over 100 research articles including Nature, Science and PNAS, accruing ca. 3,000 citations. He has presented ca. 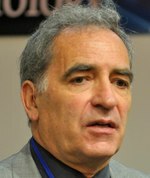 60 talks worldwide, organized several international meetings, and is sole-author of textbooks Single-molecule cellular biophysics Cambridge University Press (2013), Biophysics: Tools & Techniques CRC Press (2016), and Editor of Chromosome Architecture Methods in Molecular Biology (2016), Biophysics of Infection Advances in Experimental Medicine and Biology (2016), and Single molecule cellular biophysics (2013) theme volume in the Royal Society’s flagship biology journal Phil Trans B.
Berenike Maier is a professor of experimental physics at the Physics Department of University of Cologne. 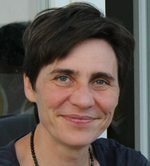 Her group works at the interface between biophysics and microbiology, focusing on the mechanism, regulation, and evolutionary benefit of molecular machines. Her research topics include the molecular mechanism of force generation by bacterial pili, mechanical properties of bacterial biofilms, and the benefit of horizontal gene transfer. I have an undergraduate degree in Chemistry, and a graduate degree in Applied Mathematics. I was a postdoctoral scholar at the University of California - San Diego with Terry Hwa. Together we quantified bacterial 'growth laws' linking gene expression to growth state in bacteria. I continue to explore the consequences of this coupling. 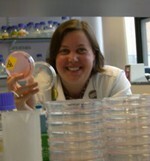 Liz’s group works on the predatory bacterium Bdellovibrio bacteriovorus with funding from BBSRC, DARPA, and Leverhulme Trust. This bacterium naturally kills Gram negative bacteria and is coming to the fore in the fight against antibiotic resistance in Gram negative pathogens. Liz’s lab use genetics, genomics and microscopy to discover predatory mechanisms and to test whole predators against infections. Liz also contributes to the Antimicrobial Resistance(AMR) RPA at Nottingham, a grouping of academic researchers in archaeal, bacterial and parasitological research. Jeremy Webb is Professor of Microbiology at University of Southampton, UK. He has received a series of competitive fellowship awards from The Australian Research Council, the UK Leverhulme Trust, and BBSRC for work on the physiology, antimicrobial resistance, evolution, and molecular genetics of biofilms and polymicrobial communities. His work includes the discovery of nitric oxide as a regulator of biofilm dispersal, which is now being exploited for therapeutic applications in cystic fibrosis, including the first human clinical trial for a biofilm-targeted therapeutic. Current research also seeks to identify genes that undergo adaptive evolution during bacterial biofilm development.